We are going to Brazil for 10 days! Pedro Sauer hosts a summer camp, complete with 3-times-daily training, visits to infamous local schools, sightseeing, and catered meals. It will be a pre-wedding honeymoon for us, and we couldn’t be more excited. Professor Sauer was in CT last year, and everyone there was blown away by his seminar, pronouncing it among their favorites ever. We first heard about this camp then, and Lisa and I looked at each other almost immediately considering it on the short list of honeymoon ideas. I imagine the attendees to this camp will be great players, committed to an authentic training experience, and likely from all over the world. I look forward to forming bonds with the 10-20 there. 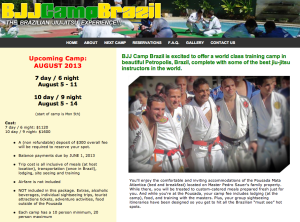 Historically, special guests have visited this camp, including Rickson (Pedro Sauer’s teacher, along with Helio), among others. Meeting legends, and visiting legendary schools is a pretty thrilling prospect. We’ve even been told we may get semi-private or private quarters, as it is our honeymoon! I hope a couple of my friends can attend as well. Let us know if you are considering it! 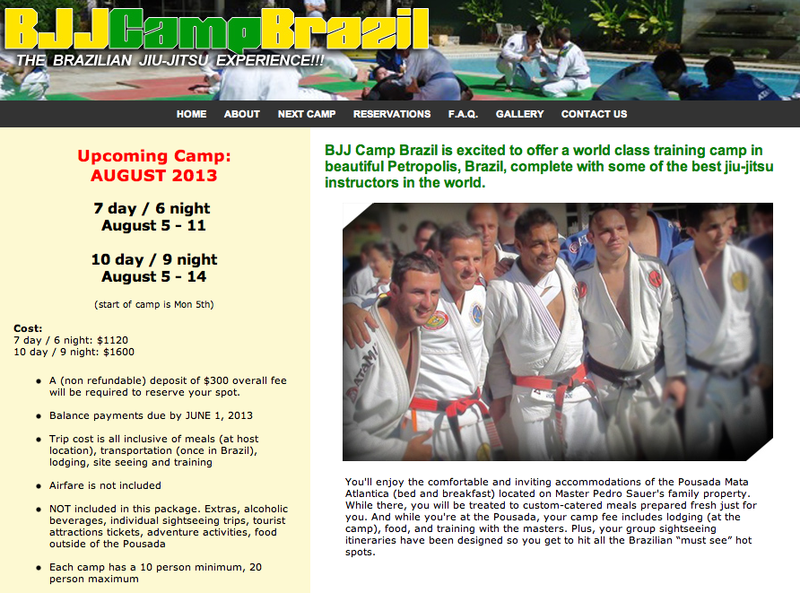 Also, friends who have visited Brazil: we are looking for tips on airfare; let me know!